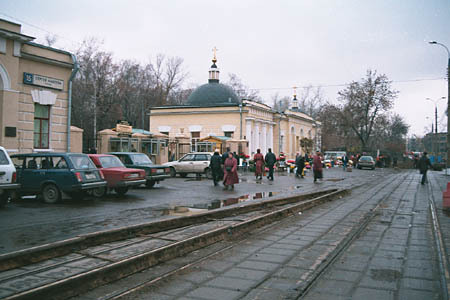 From Zvenigorodskoye Shosse to Vagankovo terminus. 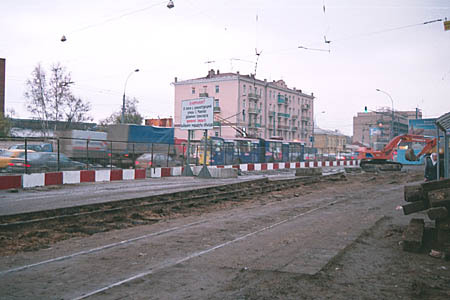 The tram line from Schmidtovskiy Proyezd to Vagankovskiy Bridge was closed on October 30, 2000. Nobody wanted to take care of public opinion - this is the style of Moscow city government, they do just what they want to. Zvenigorodskoye Shosse. 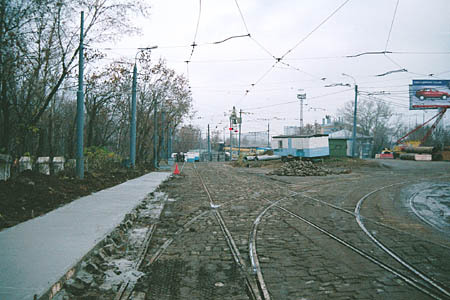 The tracks are still there, but the overhead wires are already gone. 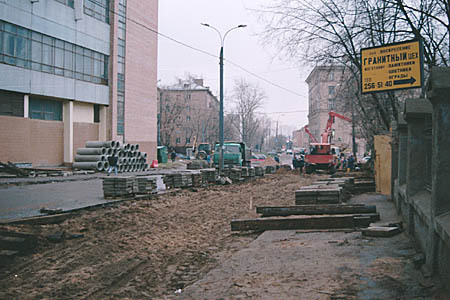 A former turn from Zvenigorodskoye Shosse to Sergey Makeyev Street. Sergey Makeyev Street. Tracks are being lifted. 1905 Goda Street with a typical traffic jam. Trams used to pass along this street on their own right of way, but now their former passengers have to enjoy the long waiting in trolleybuses stuck in jams. 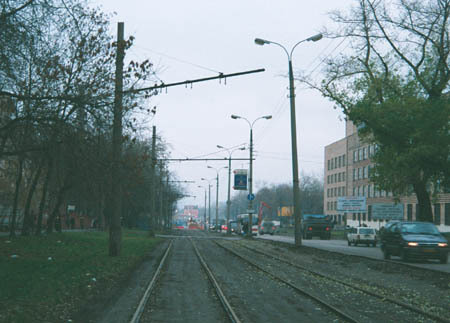 A pedestrian way is been built from a new tram terminus towards the nearest trolleybus stop located a hundred metres away. 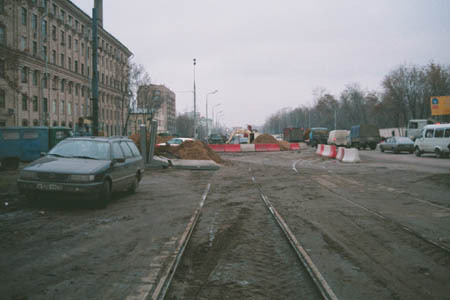 These tracks will never be used again.